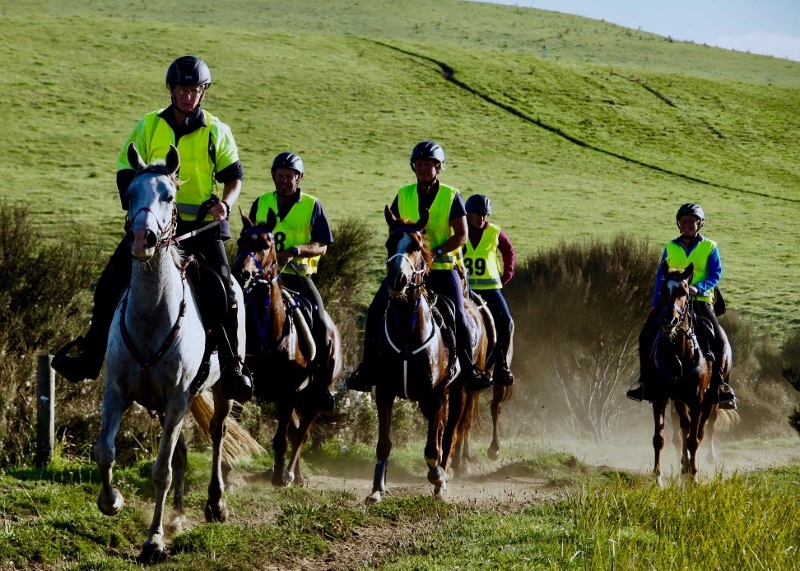 Thanks to the many who supported our club ride at Waiouru over the weekend – it was a good turnout and ideal training for the National Champs occurring four weeks later. Probably the biggest 80 km field we’ve seen this season in the North Island. We were blessed with good weather – not too hot during the day and not too cold overnight. This is a nice ride for the vets, officials and strappers to see the action as the 30 km loop has riders going through base a couple of times prior to them finishing. 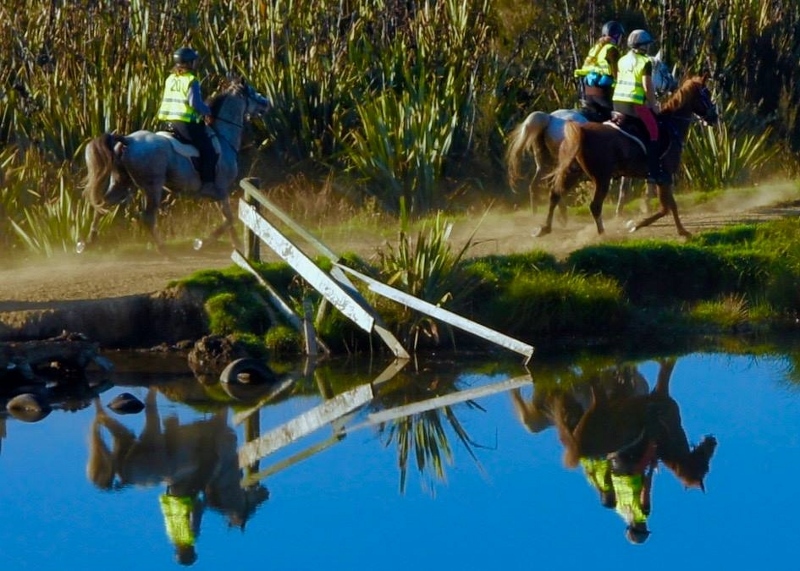 The 16 km loop out to Waiouru and back was particularly enjoyed by riders but they were instructed to “follow the markers” as the course took them north through the swamp and then back to base riding along tracks just inside paddocks alongside SH1. Saturday saw rides starting from mid-day with both Trudi Thomas-Morton and Jayden Loveridge riding in 60 km classes (and they both rode 80 km the next day also), eight going out to ride 40 km, three for 20 km and one in the 5 km lead rein class. Apart from one early metabolic vet-out, possibly due to the abundant grass at ride base, all horses qualified. Speeds ranged from 9 – 12.4 km/hr and people were clearly just out to qualify their ride although there was a fair amount of work in the course and ride base was at elevation to start with so it was tougher than it looked. Allan Haigh on Lone Star Donatella took out the Intermediate 40 km and Isla Mutch on Sahar Park Moondance gained a bunch of new fans with the team she rode with who nicknamed her their “secret weapon”. Well done to Chris Watson who led his daughter Ashlea on Scarlett O’Hara at a good speed of 5.92 km/hr around the 5 km course. A notable mention on the Saturday was a return to competition for my own mare Pharrah (trained and ridden by Sandie Warren) following a life-threatening injury at the start of the season which resulted in her being hospitalised at Massey for 5 weeks and then a further 5 weeks stabled at home before she could be turned out into a small area in a paddock. It was great to see her looking so good after her 40 km ride a mere 204 days since her injury. My very grateful thanks to all those involved in her care and recovery – amazing what is possible when you have experts on the case and agree to just keep paying the bills. 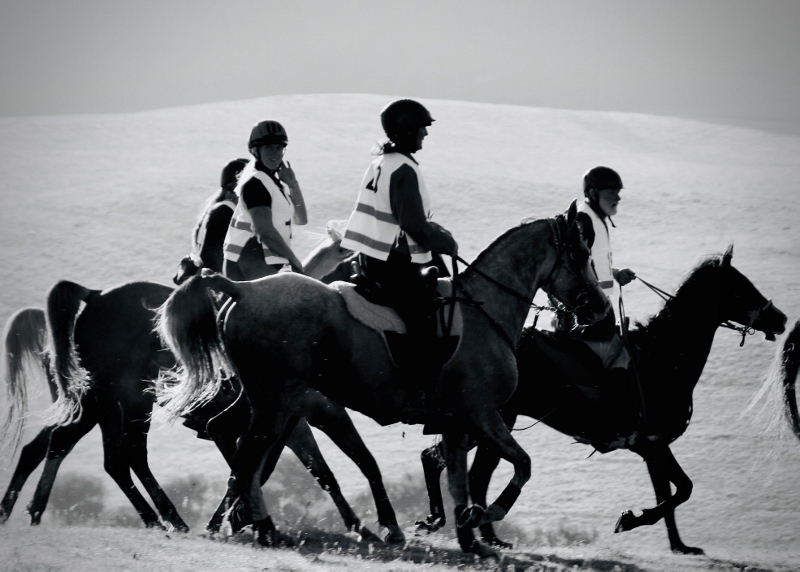 Sunday rides started at 7 am with 26 horses starting in the 80 km classes. It was obvious how quickly we are losing the extra daylight with it only just being light for the start. There were five entries in the 60 km event and five in the 40 km rides on the Sunday. Riders were going a bit faster with a number in the 13-15 km/hr range. It had been planned to open up some more of the gates on course but the cows with calves at foot did not cooperate so Roger Ireland and Joanne Loveridge spent a bit of time on the quad bike and side by side rounding them up and returning them to where they were supposed to be. Thanks to Murray, Stu and Roger for bringing all the water up to the ride base throughout the weekend. Most horses on Sunday qualified but a couple of horses stumbled out on course which put them out of the ride at the next vet gate with one being lame and one withdrawing due to exacerbation of a rider injury. Pippa Roberts and Don Sagar on their Wai Totara horses led the way on the first loop but Sue Reid and Pip Mutch overhauled them on the second loop with Sue on Kowhai Martini taking line honours by a second from Pip on Mauku Bella with Don in third. The Open JY 80 km event provided the finish of the weekend with Tayla Morris riding seasoned campaigner Makahiwi Phoenix to a gallop finish over Jayden Loveridge on Mizraim Florence. Notable mention from the Sunday competitors was Makahiwi Geneca qualifying a lifetime 4,000 km by getting round the 80 km course. Amanda McConachy must have felt the tension when required to trot the horse out a second time at the final vet inspection but all was well. Prize giving ceremonies were held at the end of each day and we shared a delicious pot-luck dinner on the Saturday night. This track is always a favourite among competitors and we appreciated that so many people travelled a fair way to join us.